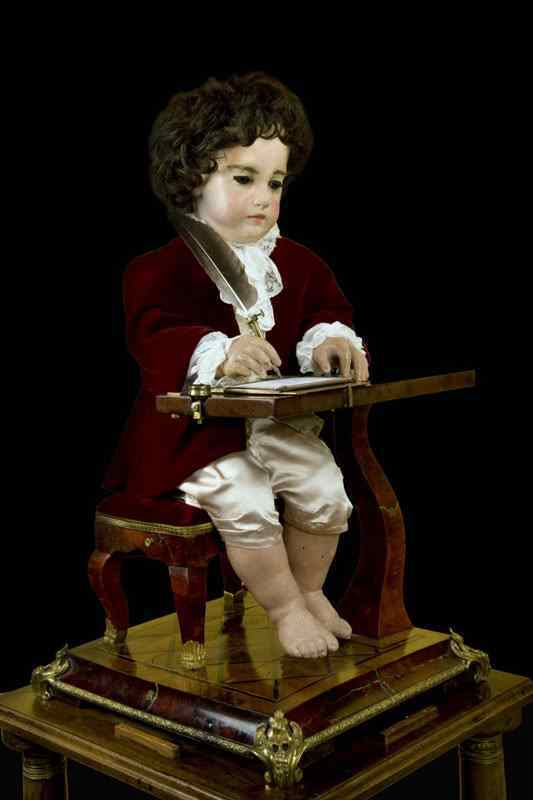 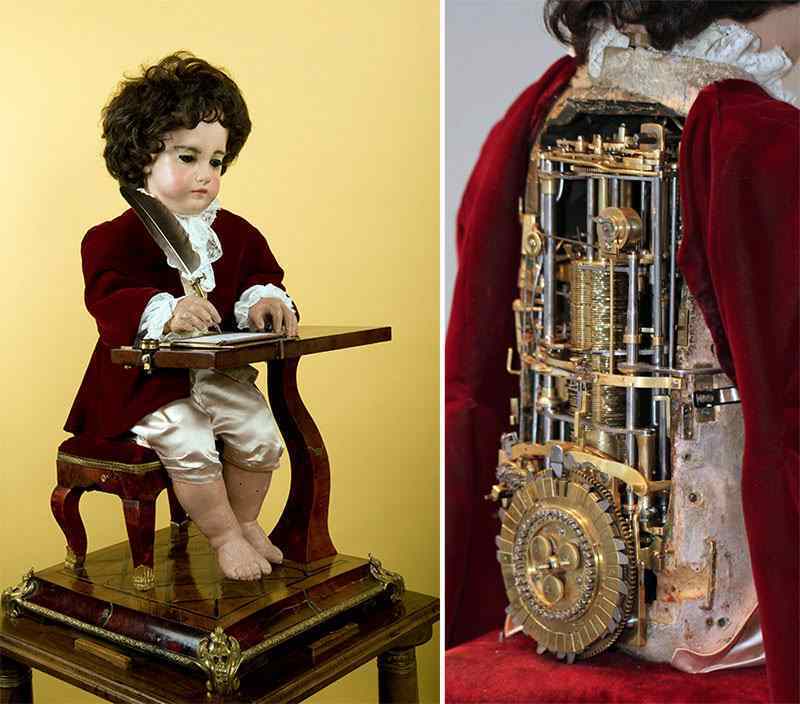 This is the automaton, a machine built in the 1770s by world-renowned Swiss watchmaker, Pierre Jaquet-Droz (1721-1790). 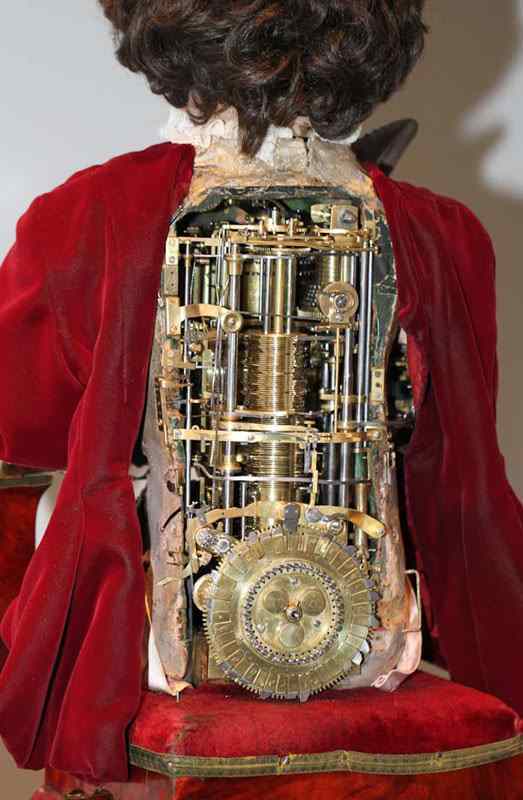 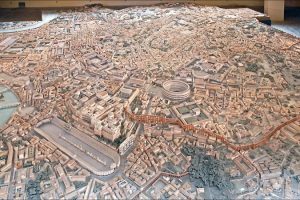 An automaton is a self-operating machine and seen below is The Writer, made from approximately 6000 parts. 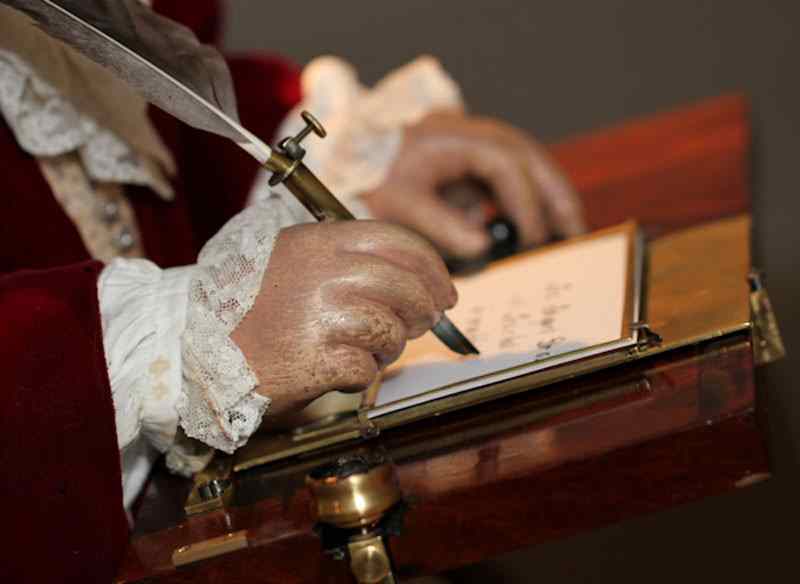 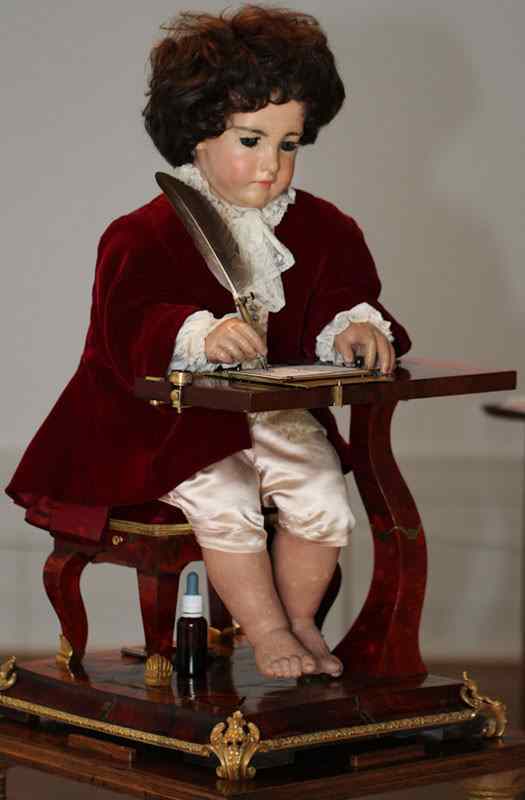 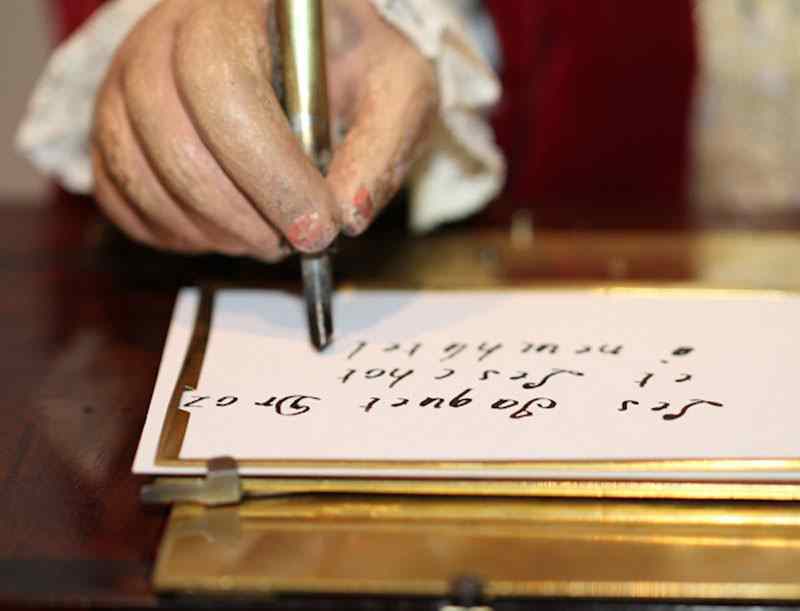 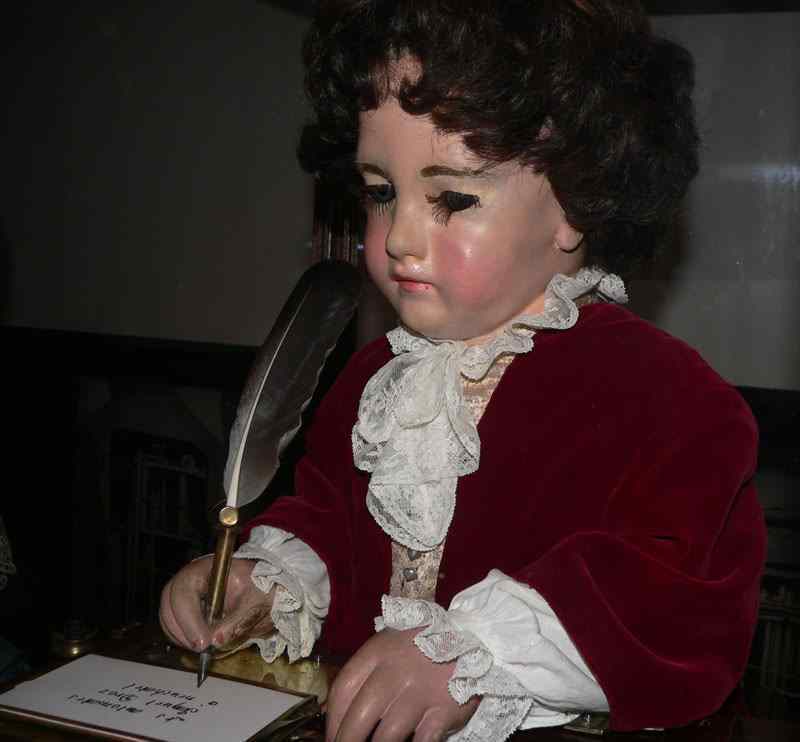 It’s self-operating, programmable, and capable of writing letters and words with a quill pen. 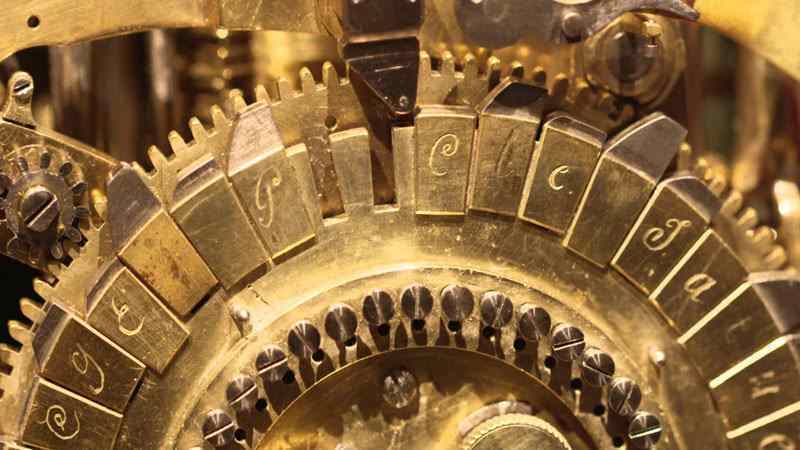 It is believed that this 240-year-old machine is a distant ancestor of modern-day computers.